Unix (all-caps UNIX for the trademark) is a family of multitasking, multiuser computer operating systems that derive from the original AT&T Unix, developed in the 1970s at the Bell Labs research center by Ken Thompson, Dennis Ritchie, and others. 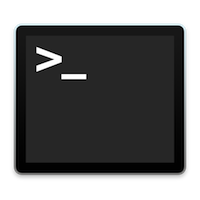 This command line tool is included with all versions of Mac OS X, and is also available on many other Unix platforms. To get started, try the following command.